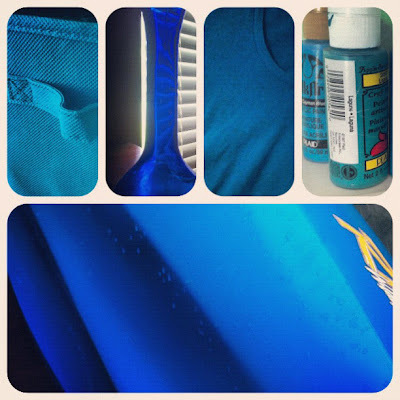 Blue is my favorite color so when I received Sally's prompt for this week. I was excited. However, this week ended up all kinds of wonky for me and almost nothing got accomplished. At long last this morning, I got on the challenge while making breakfast. My dishes are Fiestaware. 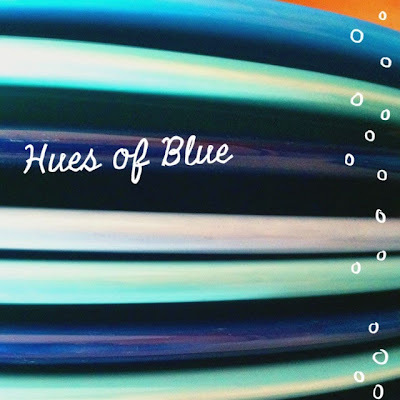 . . all in shades of blue. I love my Fiesta sets. They make me happy. I took both those pictures on my phone and added to them with the A Beautiful Mess app (that I just downloaded this morning and needed to play with some). While playing around in my phone I also discovered a photo collage saved on there that fit this prompt perfectly. I think the above collage was created as part of another photo challenge last year when the prompt was something like "your favorite color". 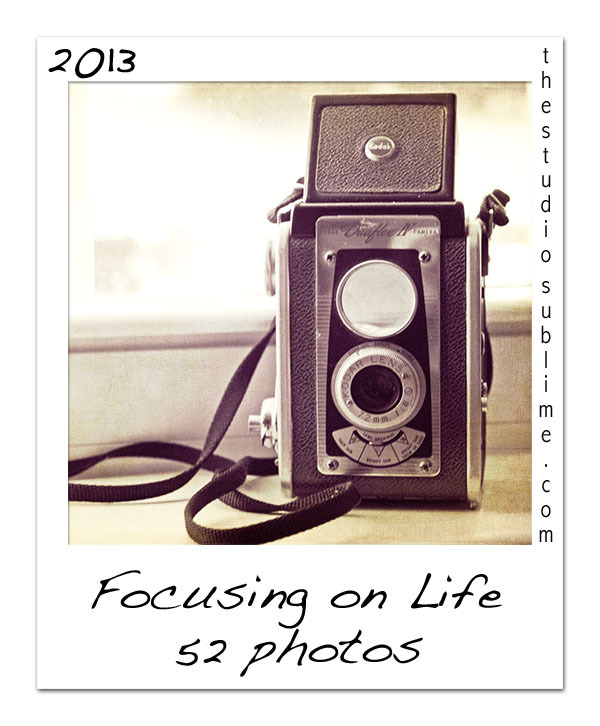 To see more blue head over to Sally's blog, The Studio Sublime. Love your mix of blue fiesta ware - mines all white - wish I had been more daring!! 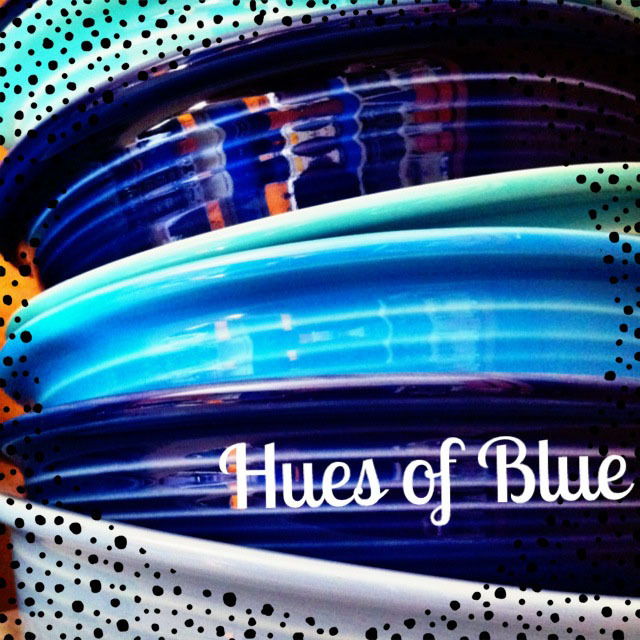 Way cool that you use fiestaware in blue for dishes. 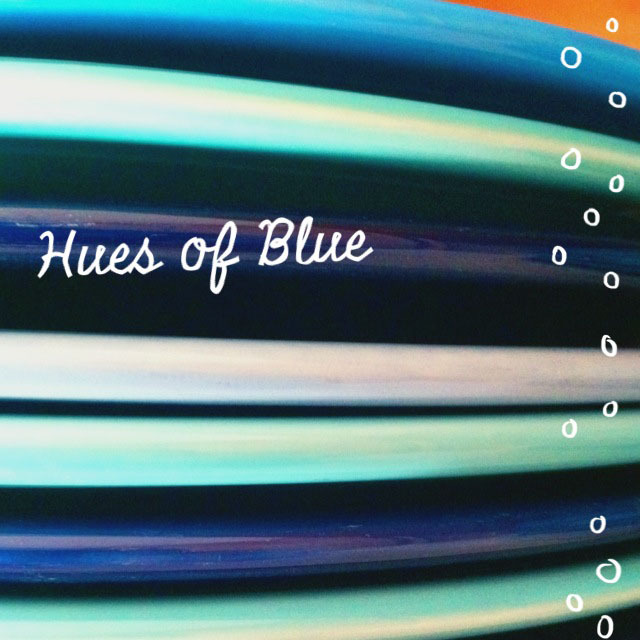 I love your dishes - what gorgeous shades of blue! Ooh - beautiful dishes! And I'm loving that app. I read the article when the guy ripped them off but never actually checked out the app. Have a great week Hope. Lori, Aw thanks so much! It took me a while to get the app because I had to upload the new iOS, but now that that's done I can play. It did take me a little while to figure out which app it was because when you search for it, there are like 4-5 that pop up in the app store under that name with the same app icon. It was crazy! I'm glad I figured it out. I do have to mention that I did download the app you mentioned as well and have played with it a little too. Thanks for the tip! And, thank you for swinging by! 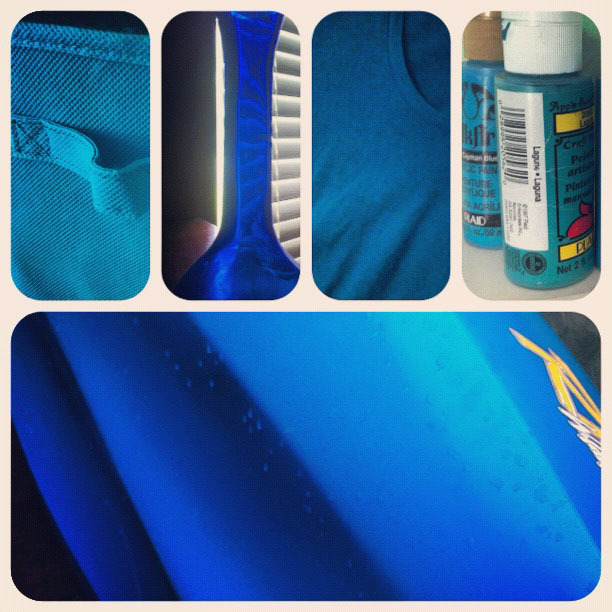 Blue is one of favorites too. How nice to have something you use everyday, as simple as a plate, make you happy. I love stuff like that! Your Fiestaware collection is amazing! What a beautiful collection of blues! Come to think of it, our china is blue too...blue and white. The app is really cool - I wanted to download it but got distracted back when I tried...can't remember but there was a hitch about it. I should go back and revisit some fun Instagram apps soon. Wow, I love your fiestaware never heard of it, might have to go find me some! Adrienne, Thanks! Oh, you should check it out. It's highly collected and been around for ages! As well, it comes in SO MANY colors other than blue. It's great, sturdy stuff. :) I appreciate you stopping in!